You know it’s gonna be good when a building is eating your name. 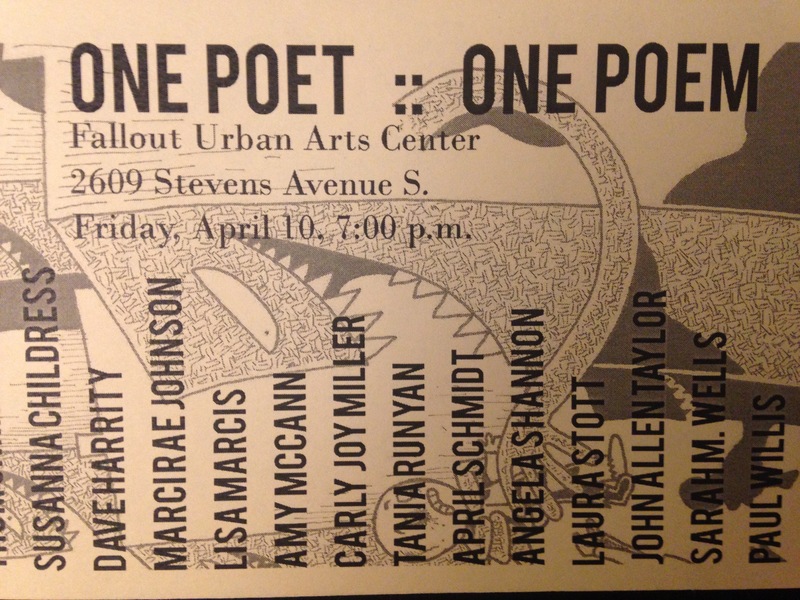 Come on out Friday night to Fall Out Urban Art Center (2609 Stevens Ave. S, Minneapolis). This entry was posted in Poetry and tagged AWP, Bethel University, Daniel Bowman Jr., Dave Harrity, reading, Sarah M. Wells, Susanna Childress, Thom Caraway, WordFarm. Bookmark the permalink.